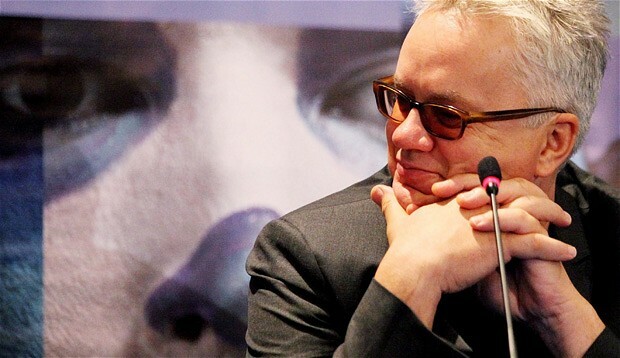 Oscar winning actor Tim Robbins says he has got rid of his television because it was making him aggressive. Academy Award-winning actor Tim Robbins says his experience directing a play based on George Orwell’s 1984 has prompted a life choice as personal as it is political: He’s living without a TV. “I have done an experiment for the past three years: I got rid of my television. One of the things Orwell talks about in the book ‘1984’ is this thing called ‘the two-minute hate,'” Robbins said in a press conference in Bogota. Robbins’ Actors Gang production of “1984” is among nearly 200 works being performed during this year’s biennial IberoAmerican Theater Festival in Bogota. After this week’s Salman Rushdie controversy, Hay director Peter Florence asks: who should literary festivals give a voice to? There are two sides to what happened in Rajasthan last week, when Salman Rushdie pulled out of the Jaipur literary festival, after death threats that turned out to be dubious – and both sides are true. On the one hand, almost everything everybody did made an ugly situation worse. 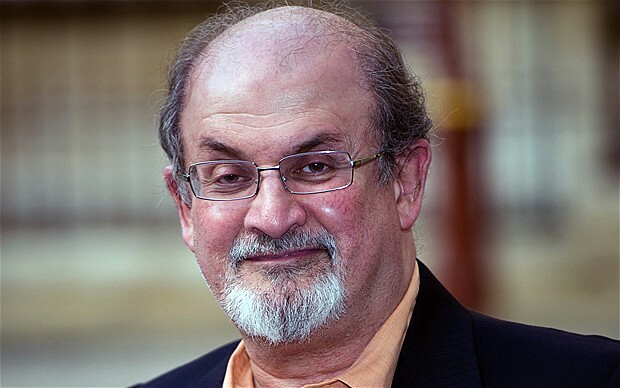 The nadir was reached when the decision was made that Rushdie could not appear even onscreen as a moving image. The next logical step would be to ban cartoons of him. So is this the end of freedom of speech in the world’s largest democracy? Should India hang its head in shame? Follow the hashtags. The overwhelming response from the wry, unbullyable and free-thinking Indian tweeters is, more or less: It’s about time I got round to reading The Satanic Verses – if it gets people so engaged, it must be worth looking at. Banning books doesn’t work. Not if you want people not to read them. It has never worked. Lady Chatterley, Madame Bovary, Harry Potter, The Golden Compass, Animal Farm, The Lorax, The Da Vinci Code, Catcher in the Rye… There’s a pattern here, and it’s a mystery that politicians are too stupid to see it. Would it have been different at the Hay festival? Maybe. I hope so. 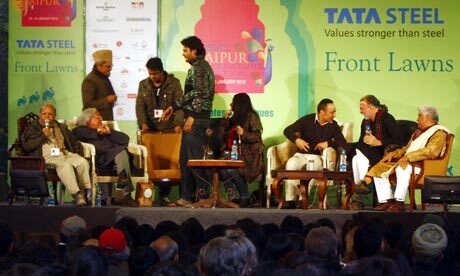 A planned videolink with Rushdie at the Jaipur Literary Festival presented the directors with an impossible decision: cause a riot or uphold a vital principle. It was the last afternoon of the Jaipur Literature Festival, of which I am co-director, and more than 10,000 people were milling around the grounds of Diggi Palace, the festival venue, eagerly waiting to hear Salman Rushdie speak by video link from London. For three weeks we had waited anxiously for this moment, ever sinceMaulana Abdul Qasim Nomani of the Deoband madrasa had called for the Indian Muslim community to oppose Rushdie’s visit to our festival. For those three weeks we had been negotiating with various government agencies, the police, a spectrum of intelligence agencies and local Muslim groups to try to make sure that Rushdie could still be heard. Despite a great deal of pressure, we had kept our invitation open and had refused to back down from our position that Rushdie had every right to return to the country of his birth and to discuss his work. Salman Rushdie has confirmed that he will not attend the Jaipur Literary Festival in person, saying that intelligence sources have warned of a planned assassination attempt. In a statement, Rushdie said: “For the last several days I have made no public comment about my proposed trip to the Jaipur Literary Festival at the request of the local authorities in Rajasthan, hoping that they would put in place such precautions as might be necessary to allow me to come and address the Festival audience in circumstances that were comfortable and safe for all. Being a literary hermit is not a job widely advertised – but it has its perks. 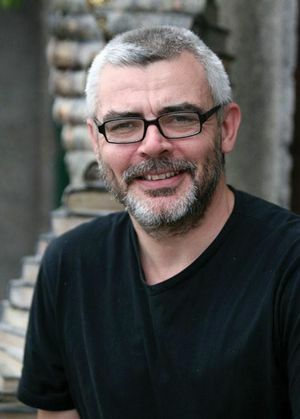 Wigtown Book Festival in south-west Scotland has hired Robert Twigger as its resident hermit for the duration of the 10-day festival next week. He will set up home in a purpose-built grotto, constructed from reclaimed timber, found on Wigtown beach, in the garden of Wigtown’s largest bookshop, with a hose to the nearest standpipe in order for him to take a shower. A best-selling novelist will be writing her next book in a shop window during this year’s SW11 Literary Festival which starts on September 17.
International bestseller Isabel Losada will be sitting in the window display Waterstones in St John’s Road all day, every day, for the first week of the festival. 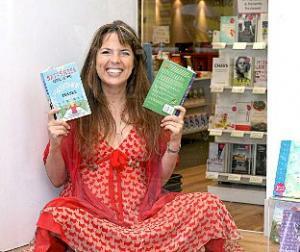 Passersby will be able to see her writing her new book, reading, tweeting and meditating. The author of The Battersea Park Road to Paradise will also be answering questions posted on Twitter and Facebook about being a writer throughout the week. The window display will be specially designed to look like Losada’s home in Battersea Park Road. 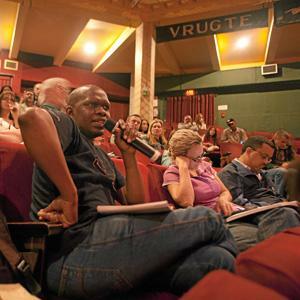 In the darkened foyer of the Market Theatre last Sunday morning South Africa’s science fiction It Girl was forced to defend herself against rumours that had emanated from the main ­theatre just minutes before. She was, she exhaled with a tinge of exasperation, misquoted by a journalist from a Cape Town newspaper. Wearing a frilly black mini-dress and flats, her blonde hair loose around her freckled face, Beukes, who recently won the Arthur C Clarke award for her novel Zoo City, explained what she had said. It went something like this: there is a cliché that South African literature is about the white man’s journey into the interior of the country’s landscape and his own head, and that, she meant to make clear, it’s about much more than that and always has been. Beukes, at a vibrant, wickedly smart 35, has obviously been busy turning those notions on their misguided heads with her own work. But considering the circumstances from which the rumours had come — the M&G’s LitFest session eight, a discussion by three not-so-boring old white farts and their memoirs — it was an important point to get right. Especially since it was old white fart #1: former intelligence minister Ronnie Kasrils, author of two not-so-boring struggle memoirs, who had brought the apparently misreported comments to the audience. He was responding to the importance of apartheid history told “for now, for the future and for the young people to know and understand”; for a populace that appears to be ­consumed entirely in the now. Ellah Allfrey celebrates the recent explosion in the continent’s populist novels, from chick-lit to science fiction. Next week the Hay Festival will be in Nairobi for the third annual Storymoja Hay Festival with the British Council. The successful extension of the Hay brand to Africa marks an interesting development in what has generally been a good decade for writers from the continent, but it has left me wondering what it means to be an “African writer”, and how the readers and the industry are responding to their success. A recent article claimed that “Africa has replaced Scandinavia as the ‘capital of Crime’”, pointing to an explosion of crime fiction including Mukoma wa Ngugi’s debut, Nairobi Heat. Ishmael Fofona, his detective, may not as yet have taken over from Kurt Wallander in our affections, but I’m hoping it’s only a matter of time. Crime is not the only genre that seems to be thriving. There is some science fiction being written (in the Gambian author Biram Mboob’s Harabella, for example, the whole of Africa is colonised by China) and even some chick-lit, with Lola Shoneyin’s The Secret Lives of Baba Segi’s Wives. Everywhere new authors are breaking free of the burdensome label “African writers” and for the first time there is a decent body of genre writing not only set in Africa, but written by Africans. It seemed like an innocuous enough idea: bring together the writers and readers in one of India’s most beautiful places to talk about literature. 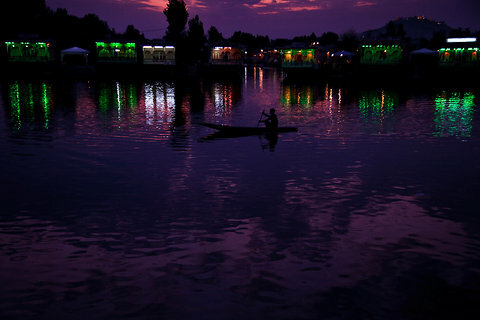 But the Harud Literature Festival, which was supposed to be held in Kashmir later this month — Harud means autumn — has become the subject of a bitter dispute that has played out in the pages of India’s best newspapers, magazines and blogs.This bitterness arises from one of the most complex and sensitive issues in India: the identity of a disputed region claimed by both India and Pakistan. Some of Kashmir’s most prominent literary voices declined to attend: Basharat Peer, author of an acclaimed memoir of growing up during the insurgency in the 1990s, and Mirza Waheed, a BBC journalist and writer of a novel called “The Collaborator,” about a young Kashmiri who secretly works with the Indian army. They also cited security threats, based on false rumors that Salman Rushdie had been invited to the event. 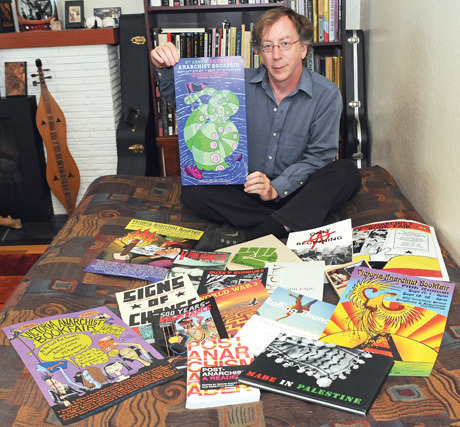 Allan Antliff, who is helping to organize the Victoria Anarchist Book Fair and Festival of Anarchy, sits in his home surrounded by books and posters from previous years’ events. Victoria resident Allan Antliff won’t have to travel far to satisfy his specialized literary appetite. Others, however, will soon travel to Victoria from throughout North America for the sixth annual Victoria Anarchist Book Fair and Festival of Anarchy. “It will be larger than ever this year,” said Antliff, a member of the Victoria Anarchist Book Fair Collective. The two-day literary and cultural showcase drew 2,000 people last year. The festival will feature a series of events, culminating with the book fair on Sept. 10 and 11.